Australia Day by the beach was the setting for the Festuri festival after it was washed out back in October. 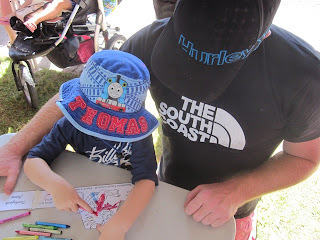 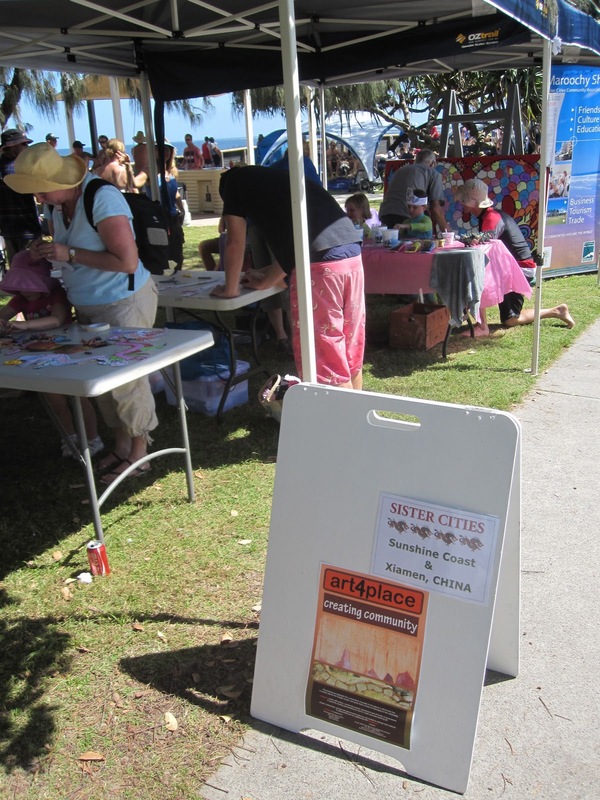 Art4place artists joined with thousands of others for the festival; but were there to create artworks on behalf of the Sunshine Coast Council's Sister Cities Association. 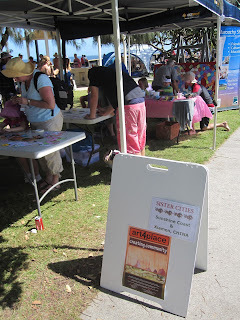 The art works celebrated their association with our Chinese Sister city of Jingdezhen and our Friendship city of Xiamen. 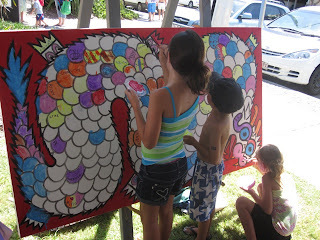 The theme was “Dragons” and we did all sorts of art activities, mostly with children, which created dragons of all shapes and sizes. 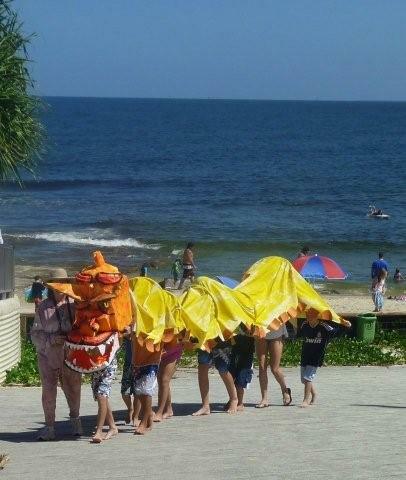 Children painted and attached scales to a 7m long calico dragon which had a fabulous and colourful head, and then carried it down to and along the beach. It caused quite a stir! 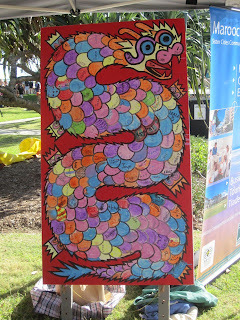 Jim had prepared a dragon on a board and children (and adults) wrote their name on the scale and then painted the scale as well – it was great for big and small kids alike and was a really interactive and colourful piece. Kim had made dozens of clay dragons that children could paint and either take home; or leave to be washed and recycled and painted over again. 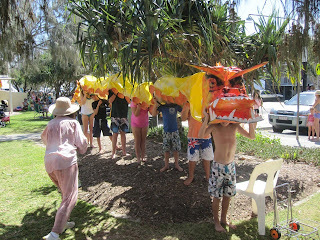 Noela created dragon puppets and headbands to be coloured in, cut and made. 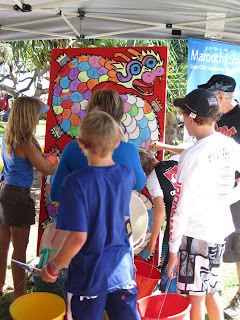 Christine, Barry and Fiona helped out a lot! It was a great celebration and the children learned about sister cities and friendship cities and basically enjoyed making all the different dragons.